Take the elevator to the top floor of the hotel and you'll step out to the Eagle's Nest Lounge and nightclub. 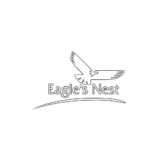 The Eagle's Nest offers sweeping panoramas of the surrounding landscape, twinkling city lights and the most spectacular view of Southern California Wine Country. This coupled with live music and a relaxing atmosphere away from the gaming floor.